A residential attic in the center of the Catalonian city in Spain became the first Spanish real estate property that has been put on the market only for Bitcoins. 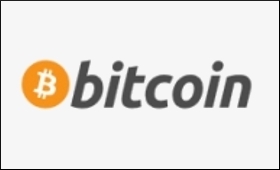 Bitcoin (BTC, XBT) is a decentralised global digital currency that isn't backed by a central bank or single administrator, in other words, it is a peer-to-peer electronic cash system which has seen a massive increase in its value in recent times. According to Víctor Monreal, executive director of the Barcelona-based real estate company Mister Piso, which has put this residence on the market said on Wednesday Bitcoin enabled "a much speedier and effective transaction than the traditional payment method." In his opinion, normal payment "is managed by banks engaged in financial intermediation and subject to excessive and unnecessary regulation," Efe reported. The apartment that can only be purchased in Bitcoins is located in Tarragona's central Plaza Imperial and it was its owner who decided that payment could only be made in Bitcoins. The attic has gone on the market with a price tag of 40 Bitcoins, which at Wednesday's BTC virtual exchange rate is the equivalent of $583,950. In the event a potential buyer does not have Bitcoins, he will be directed to one of the numerous bitcoin exchanges operating on the internet, Monreal said. Bitcoin transactions take place between users directly, are verified by network nodes through the use of cryptography and recorded in a public distributed ledger called a "blockchain." An independent verification of the "chain of ownership" of any and every Bitcoin value is achieved as each network node stores its own copy of the blockchain. Bitcoin was invented by a person or group behind the name Satoshi Nakamoto and released as open-source software in 2009. Since the beginning of 2017 Bitcoin has experienced a spectacular rise in value, passing from $999 per Bitcoin in Jan. 2017 to the current but volatile, $14,633 per coin. The director of Mister Piso said he believed there will be a growing number of consumers opting to make their daily purchases with this digital currency.